For several years now the media has reported an insidious invader spreading across our country. 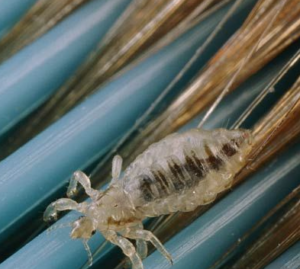 They have deemed this invader “super lice.” In truth, the only thing super about these lice is that they have become resistant to pyrethroid, a type of pesticide used in over-the-counter lice treatments. They are not, as their name suggest, impervious to all forms of defense. They have not and will not become resistant to the natural head lice products we use to rid them from the scalps of your children and anyone else in your household who may come into contact with these persistent parasites. So that you will better understand this breed of “super lice,” we present you with these basic facts. As we’ve already stated, “super lice” is simply a term the media coined back in 2015 to refer to ordinary lice that have grown a resistance to over-the-counter lice treatments. Ironically, many of the ingredients have levels of toxicity that adversely affect human health any way. Strains of these super lice have been discovered in 48 states but they have chiefly been found in 25 states. The important thing to remember is that if you discover you do have lice you should follow treatment steps so that you are sure that they are gone forever. You can use special brushes and comes to detect them and their nits but removal may take someone who is expert at combating these pests.